The UK Supreme Court. Image: Supreme Court. The Scottish parliament first passed legislation which enforced minimum alcohol pricing (MUP) five years ago in 2012, however, the matter has been embroiled in court challenges ever since. The initial plans included a minimum of 50 pence charged per unit of alcohol sold. This means that a bottle of wine could not be sold for under £4.69, a four-pack of 500ml beer cans for under £4 and a bottle of whisky for less than £14. The European Court of Justice later confirmed, in 2015, that Scotland’s plan to introduce Minimum Unit Pricing (MUP) of alcohol was illegal because it breached EU trade laws. However, in November 2016, the Scotch Whisky Association, which has long objected to the measure, were forced to appeal once more, following a decision by the Court of Session in October 2016, which dismissed the SWA’s objections to MUP and overturned the ruling by the European Court of Justice. In July 2017, SWA’s appeal officially began at the UK Supreme Court, the final court of appeal in the UK for civil cases. Scottish ministers have said that a minimum price of 50 pence-per-unit would help tackle Scotland’s “unhealthy relationship with drink” by raising the price of cheap, high-strength alcohol. In 2016, Alcohol Focus Scotland alleged that the maximum recommended weekly intake of alcohol (14 units) could be bought for just £2.52 in Scotland. It added that high-strength cider and own-brand vodka and whisky could be bought for as little as 18p per unit of alcohol. The SWA, on the other hand, argued that MUP was illegal under EU law and that it amounted to a “trade barrier” which “is a real concern for our industry”. While it supports the Scottish government’s decision to tackle alcohol abuse, it believes that there are better alternatives available to do this. MUP, rather than imposing a tax or a duty increase, raises the price for the cheapest alcoholic drinks, with the extra money raised going to the retailer. Today (15/11/2017), in an unanimous judgement, seven Supreme Court judges rejected the SWA’s appeal, ruling in favour of the Scottish government. On giving the judgement, Lord Mance said: “The 2012 Act does not breach EU law. Minimum pricing is a proportionate means of achieving a legitimate aim”. Lord Mance said: “Taxation would impose an unintended and unacceptable burden on sectors of the drinking population, whose drinking habits and health do not represent a significant problem in societal terms in the same way as the drinking habits and health of in particular the deprived, whose use and abuse of cheap alcohol the Scottish Parliament and Government wish to target”. The judges also agreed that MUP “is easier to understand and simpler to enforce” and would not allow ‘absorption’, a practice when retailers try ‘to absorb’ the extra costs by selling alcohol below cost price in order to attract other business. Lord Mance stated that the Scottish parliament and government have put “very great weight on combatting alcohol-related mortality and hospitalisation and other forms of alcohol-related harm”. He added that this “was a judgement which it was for them to make, and their right to make it militates strongly against intrusive review by a domestic court”. Lord Mance does accept, however, that “minimum pricing will involve a market distortion, including of EU trade and competition”. He believes that this cannot be “regarded as outweighing the health benefits which are intended by minimum pricing”. Continuing, he said: “In the overall context of the Scottish or, on the face of it, any other market, it appears that it [effects of MUP] will be minor, though it will hit some producers and exporters to the Scottish market more than others”. Lord Mance emphasises that the “system will be experimental” given that Scotland is the first country to impose such a measure. Reaction to the news has been mixed with the length of the legal battle alone foretelling MUP’s divisiveness. “In a ruling of global significance the UK Supreme Court has unanimously backed our pioneering and life-saving alcohol pricing policy,” she added. Scotland’s first minister and leader of the SNP, Nicola Sturgeon, tweeted that she was “absolutely delighted” with the ruling. She admitted that “no doubt the policy will continue to have its critics” but felt that the measure was “a bold and necessary move to improve public health”. Absolutely delighted that minimum pricing has been upheld by the Supreme Court. This has been a long road – and no doubt the policy will continue to have its critics – but it is a bold and necessary move to improve public health. 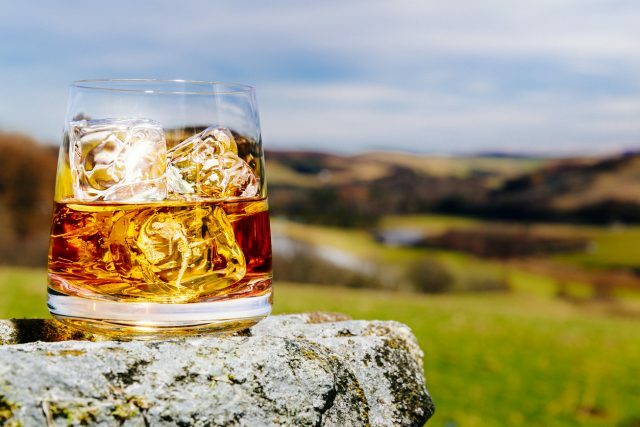 After its appeal was rejected, Scotch Whisky Association chief executive, Karen Betts, said: “We accept the Supreme Court’s ruling on minimum unit pricing (MUP) of alcohol in Scotland. Looking ahead, the Scotch Whisky industry will continue to work in partnership with the government and the voluntary sector to promote responsible drinking and to tackle alcohol-related harm. Spirits Europe, which supported the plight of the SWA said that the ruling “will distort competition by preventing efficient low-cost producers of alcoholic drinks in other Member States from using that competitive advantage against higher cost producers, without targeting those who drink at harmful levels”. 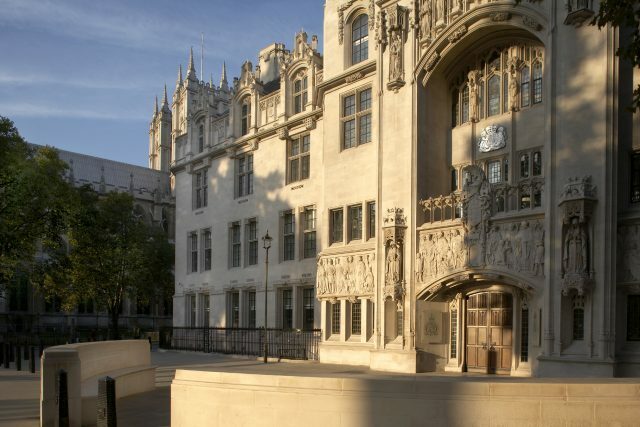 Joep Stassen, president of Spirits Europe said: “We regret the Supreme Court’s ruling on minimum unit pricing (MUP) of alcohol in Scotland, which we believe is inconsistent with the Court of Justice’s ruling in this case and its wider jurisprudence”. 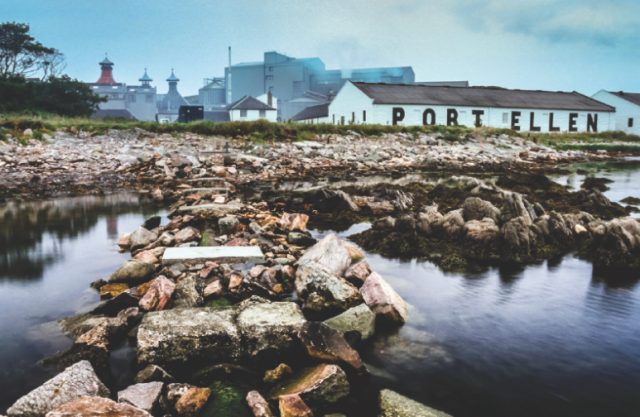 Scotland’s Port Ellen distillery, due to be brought back into production by owner Diageo by 2020. “We remain convinced there are more appropriate, proportionate and effective responses to tackle harmful use of beer, wine and spirits drinks. We nevertheless accept that MUP will now be introduced in Scotland, and hope to see an objective assessment of its impact both on the harmful use of alcohol and on the ability of cheaper imports to compete in the Scottish market”. Comité Européen des Entreprises Vins (CEEV) echoed Spirits Europe’s concerns. “We regret, but respect, the Supreme Court decision and hope to count on the Scottish government to ensure a smooth implementation of this legislation, in a way that would as much as possible limit market distortion and preserve a level-playing field,” said Jean-Marie Barillère, president of CEEV. Birmingham’s Aston Cider also shared its concerns. In a statement, the company said: “We believe sincerely this is the wrong outcome. The legal arguments aside, the premise for Minimum Unit Pricing (MUP) is flawed – based as it is on an untested forecast model that believes that the heaviest drinkers are very sensitive to price increases. “Those working in drug and alcohol services and the homelessness sector are clear that to make a substance misused more expensive or to restrict supply will merely displace misuse to another substance or prompt a greater proportion of scarce resources to be directed to sustain misuse, making matter worse for those in crisis and those around them. “In addition it will adversely affect legitimate consumers, especially those on modest incomes that are typically lower per capita consumers of alcohol than those on higher incomes. It will also disadvantage legitimate retailers and producers – a triple whammy with no discernible improvement in the levels of alcohol misuse”. “A focus on the individual and their circumstance is the most effective approach, though we note that resources invested in drug and alcohol services and in the homelessness sector are being cut”. In contrast, C&C Group, owners of brands including Bulmer’s cider, Magner’s cider and Tennant’s lager, welcomed the decision. Paul Bartlett, group corporate relations director at C&C Group, commented: “C&C Group plc has been a strong and vocal supporter of Minimum Unit Pricing since it was first proposed in 2011. We welcome today’s landmark decision. It is the right move to make; a progressive step forward in tackling the problems of alcohol misuse in Scotland and we congratulate the Scottish Government on its perseverance. “Although the majority of Scots enjoy alcohol responsibly, we are concerned about the availability of strong, cheap alcohol and its correlation with harmful drinking that causes misery across Scotland. As part of a package of measures, Minimum Unit Pricing will help to address this. “Now that the Supreme Court have made their ruling, we urge the industry to get behind the decision. We’ll be working with the Scottish Government and our customers over the coming months to support the successful introduction of Minimum Unit Pricing. Moreover, we also hope similar legislation can be realised across other territories we operate in, including Ireland and Northern Ireland,” he added. “Minimum pricing will be a major element in eradicating these problems. Cheap priced alcohol has turned Scotland into a nation of stay at home drinkers. 72% of total alcohol sales in Scotland are off sales, 80% of this total is sold by supermarkets. When people drink in uncontrolled environments alcohol related problems increase significantly”. Prohibition, as such, never works. You impose high costs, people find other ways – making their own home brews for example. So with MUP the producers now are taxation agents, collecting a new imposed tax and retuning it to the government. So now the govt is making more money from the liquor industry. There is always a “cause and effect”. It never as straight forward as it seems. With the introduction of MUP, not only will home brews become popular, and in the case of spirits, maybe a health risk, but bootlegging will certainly be one option. When you introduce a higher tax on a commodity, you will find that there will be people finding ways to smuggle cheaper products into the country. Nice one Scotland. I doubt this will make any difference to the pub trade as such or drinking at home. Indeed it may indeed lead to problems such as duty evasion via the black market. We see this in England with those doing the Dover to Calais booze cruise. Those in cars also go into Belgium for cigarettes and tobacco where the duty is significantly lower. The number of “customers” from France going to Belgium for tobacco has increased significantly due to the lower duty between the two countries. At least there is boarder controls between England and France. At the moment between Scotland and England there is none.